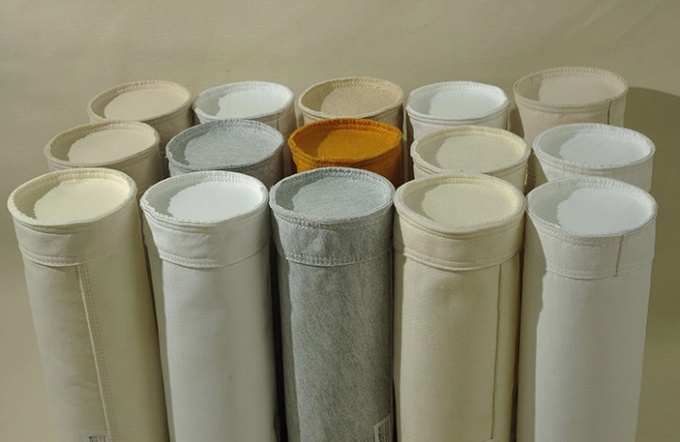 China Nomex/m-Aramid non woven needle felt filter cloth supplier with highest quality level polyester fiber and scrim which made by Daitto.,can be made with anti-static fiber (line,cross,blended/mixed),water&oil repellent treatment,PTFE/Teflon mamebrane,PTFE dipping.Also the after-treatment can be made into smooth surface,super smooth surface,rough surface,super rough surface,all based on your design. Aramid fiber 1313 as a functional fiber in high temperature dust filtration industry has an irreplaceable status, but because of the characteristics of molecular structure determines, it has some defects. Such as poor resistance to strong acid, high temperature hydrolysis is poor, not in the coalfired boilers, waste incineration and other industry applications. Aramid has excellent heat resistance, flame resistance, high temperature dimensional stability. Particularly conspicuous is its excellent mechanical properties, strength and polyester similar to, wear resistance, good resistance to bending and has excellent characteristics of textile processing, can acupuncture into spun lace nonwoven fabric. Aramid fiber 1313 at different temperatures, strong retention rates at different times, including in the dry heat temperature of 250 C for 1000 hours under the conditions of its strength retention up to 60%. Shanghai Daitto Filtration is one of China Filter Cloth manufacturers, factory and supplies, is making and supplying China polyester filter cloth, nomex aramid filter cloth, pps dust collector filter cloth, p84 dust collector filter cloth, ptfe filter cloth, fiberglass filter cloth, acrylic filter cloth, ptfe laminated filter cloth, high temperature dust collector filter bags with good quality and good prices.